Gently cleanses and leaves skin feeling moisturized for 24 hours. 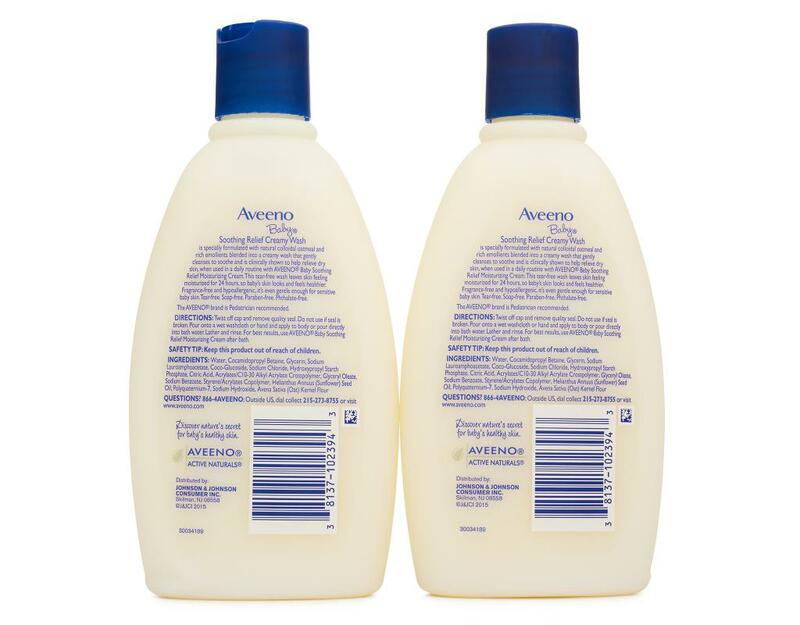 Aveeno Baby Soothing Relief Creamy Wash is specially formulated with Active Naturals Colloidal Oatmeal and rich emollients that gently cleanse and soothe the skin. The hydrating formula leaves skin feeling moisturized for 24 hours, so your baby's skin looks and feels healthier. It's gentle enough for dry, sensitive baby skin, and it’s hypoallergenic, tear free, soap free and paraben free. 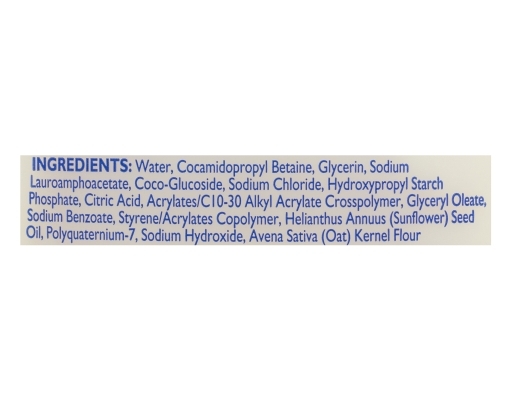 Active Naturals Colloidal Oatmeal locks in moisture and helps prevent dry skin. The Aveeno brand is most trusted for its use of natural ingredients. Oat is the natural ingredient most recommended by dermatologists. As a skin protectant active ingredient, oatmeal can help restore skin's normal pH and aid in the maintenance of skin's moisture barrier to help prevent and protect dry skin.